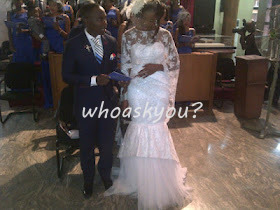 EXCLUSIVE PICZ: White wedding fotos of Teju babyface and wife | whoaskyou? News | Events | Inspiration | Entertainment | Lifestyle | Music and ofcuz all the Gossips. Hmmmm! 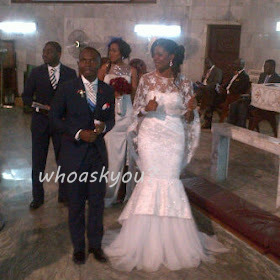 I love his suit and the gown aint bad too.what do you think guys? This wedding is waow. i love the wedding gown. i wish u guys a blissful married life.